Senor, an analog from early 2016 for today. I am bearish for the time being. 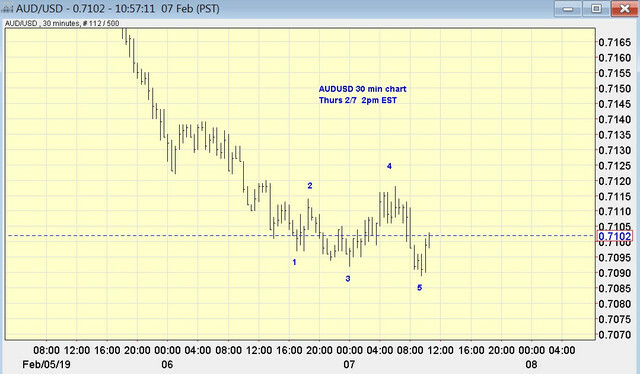 This Saturday Feb 2nd is the start of Marty Armstrong's "Gold Panic Week" - anyone got a link? 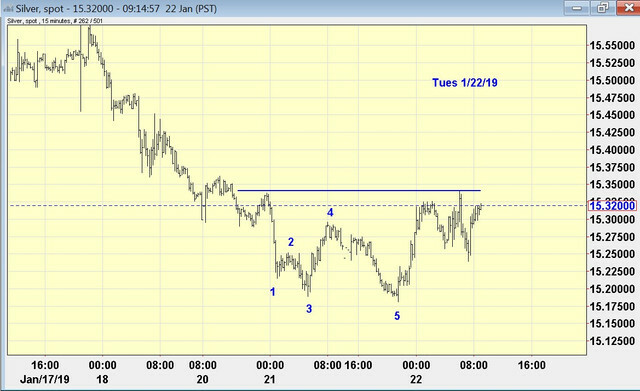 As at today Sunday 2/3 it looks like silver has completed 5 waves up from the 11/14/18 low. Time for the pause that refreshes. 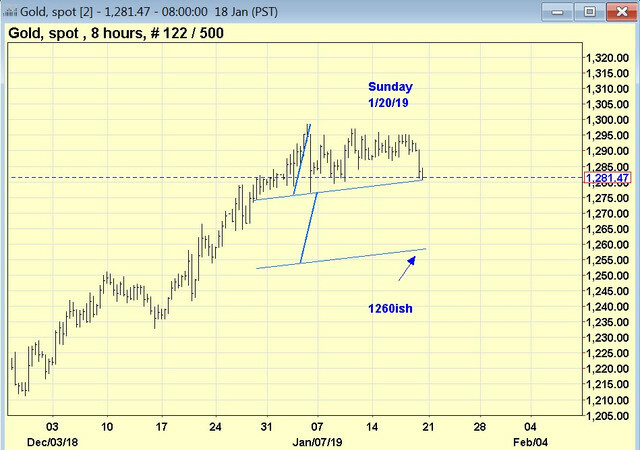 CNBC bullish on gold on Friday. Guarantees a drop.